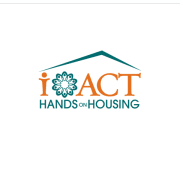 iACT's home repair program, Hands on Housing, is seeking a regularly scheduled volunteer to assist with program administrative duties. Our Hands on Housing program provides home repairs to low-income, elderly, and disabled homeowners in Austin. Volunteer must be willing to undergo background check. Volunteer must have own vehicle and be comfortable driving. Interested? Please contact Lily Schmidt at lschmidt@interfaithtexas.org for more information.